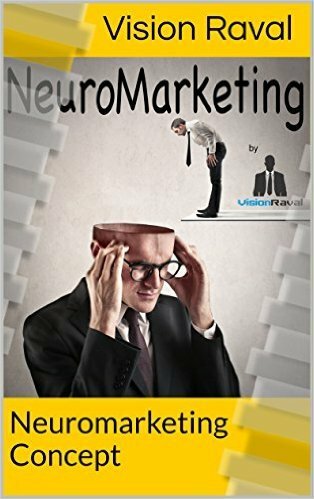 This book is giving you bird eye view and useful information about concept of Neuromarketing. Its written by Mr. Vision Raval who is certified Six sigma black belt trainer, TQM, Kaizen, B.com and MBA by qualification and got more then 15 years of Business Consulting and International Marketing experience. This book will help you to understand how science of mind works towards buying any product or services. How brain thinks to go for your product or services by looking at your product or banner. It is very useful to understand as many companies invest a huge amount in to marketing but do not use such research base proven concepts to get optimum utilization of the investment. This gives totally new direction for Marketing consultant and experts. Many freshers and experienced team members often wonders how to bring consistent business to the company they work for. 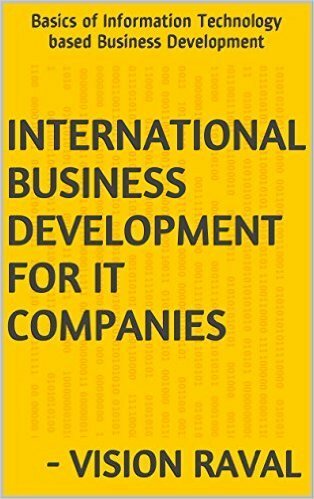 This book will give basic guideline to them about where to invest their efforts and what kind of output they can expect from different IT Business Development models. This book is written by Mr Vision Raval, who has 15 + years of international marketing, business development and sales training experience. He has done his MBA with International marketing and Business Process Outsourcing from NIM and certified Six sigma black belt certification from ER, USA. He has done Kaizen, TQM and Bcom Degree certificate in to management and accounts. If you are start up IT company and looking for valuable tips and overview about Business Development, this book will guide you to the right direction. This book is version 1 with Basic level so it will be the best match for BD Freshers who join IT company as Business Development Executive. 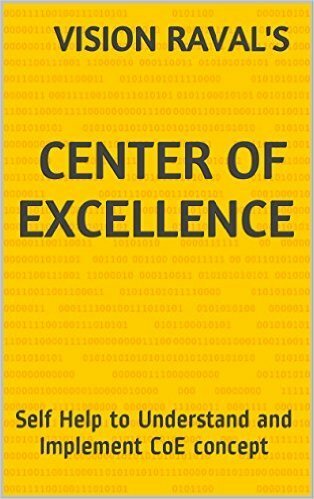 Center of Excellence is one of the great concept used by many IT companies, skill base consulting, ERP / SAP implementation etc. for their client base. Vision Raval worked with many company to design and deploy CoE and derive customized or hybrid CoE to optimize the concept and their utility in to international and domestic business. This book is must buy for those who are in to international marketing and business process improvement to offer as service to their clientele. Google is market leader with many services and application. Recently Google has changed their name to Alphabet Inc. Now Google has server to offer from each of their alphabet. For many new to IT students and career beginners , its hard to compile all at one place. 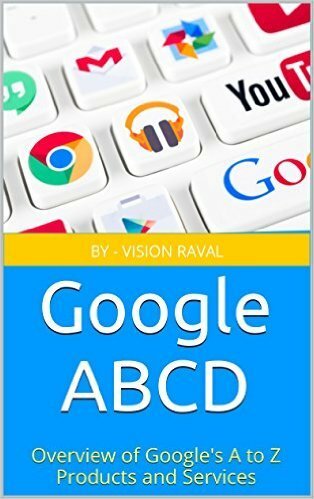 This book was written with the same objective to compile all services of Google in simple language and easy to understand manner. This book will get you bird eye view of all the core services of google with their objective, what it dose and where it get used. This book provides the best guideline for understand and know all key services offered by Google.